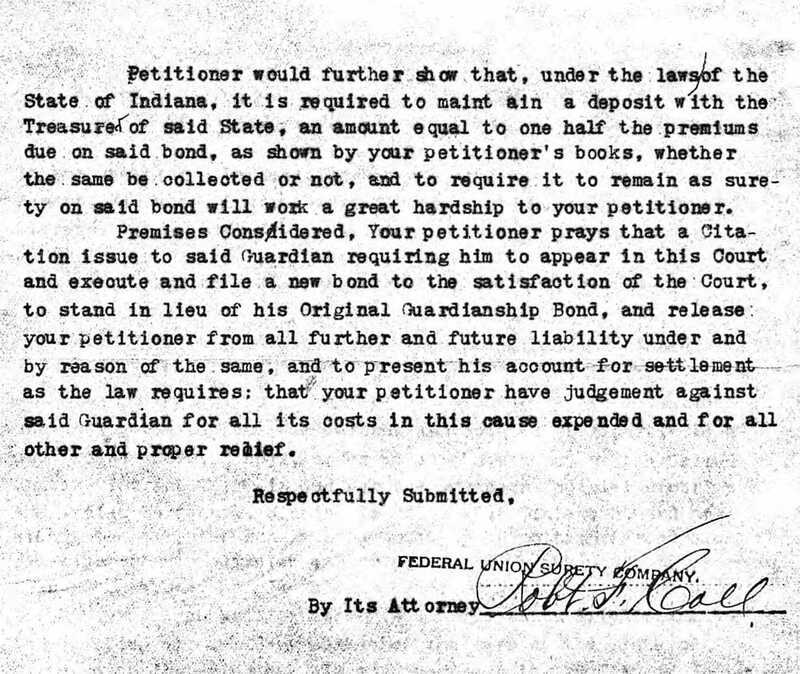 Sometimes it's best to let the documents tell the story. 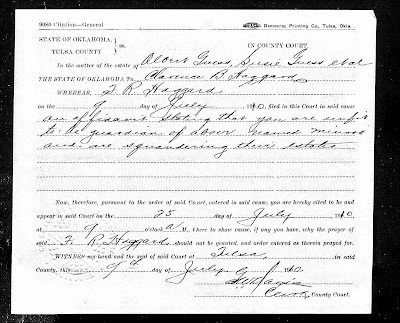 In The Children of Nelson Guess - Part 2, that's what I've decided to do. 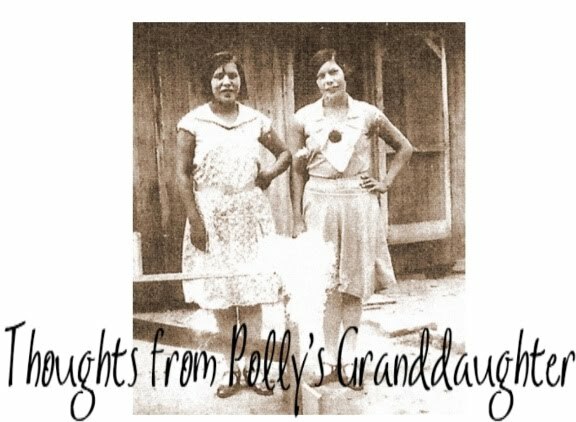 A lot of words aren't needed to explain how tragic and sad this was. 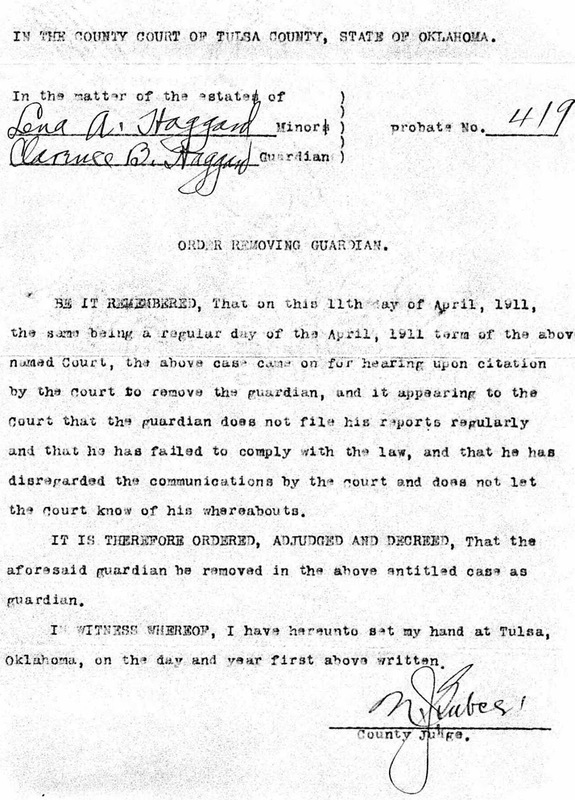 June 20, 1908, Albert Guess, the teenage son of Nelson Guess, died in Tulsa, Oklahoma. 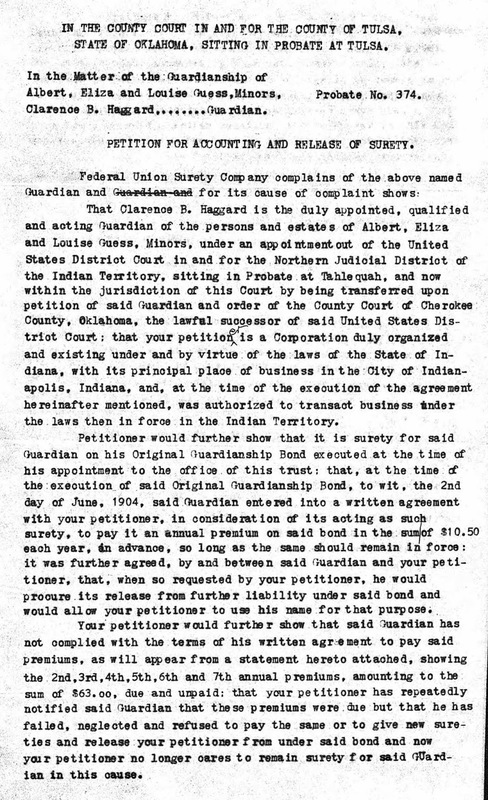 July 9, 1908, Clarence Haggard, white stepfather and guardian of Albert, was appointed as administrator of Albert's estate. 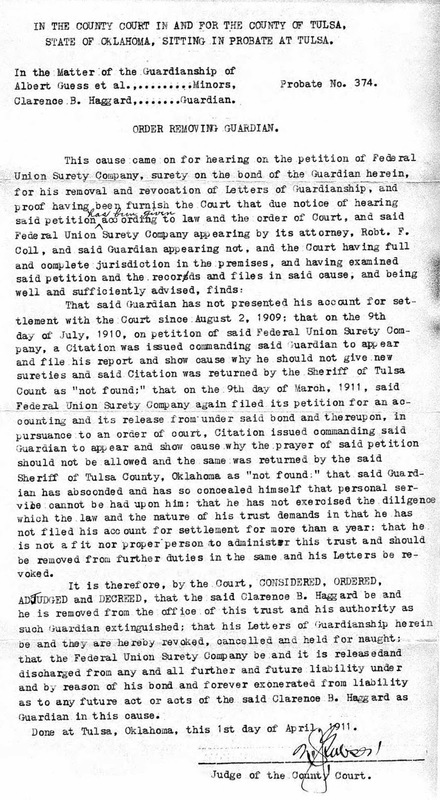 June 22, 1909, Clarence was cited and summonsed to court for failure to follow through with the legal requirements in his role as guardian of the children of Nelson Guess. 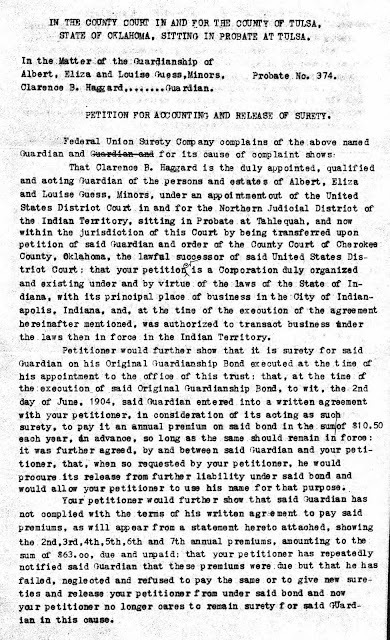 March 2, 1910, another citation was issued commanding Clarence to appear in court on March 30, 1910, to face a complaint from the surety company that he had absconded with the estates of the children of Nelson Guess (as guardian) and had not complied with the requirements of guardianship for more than a year. 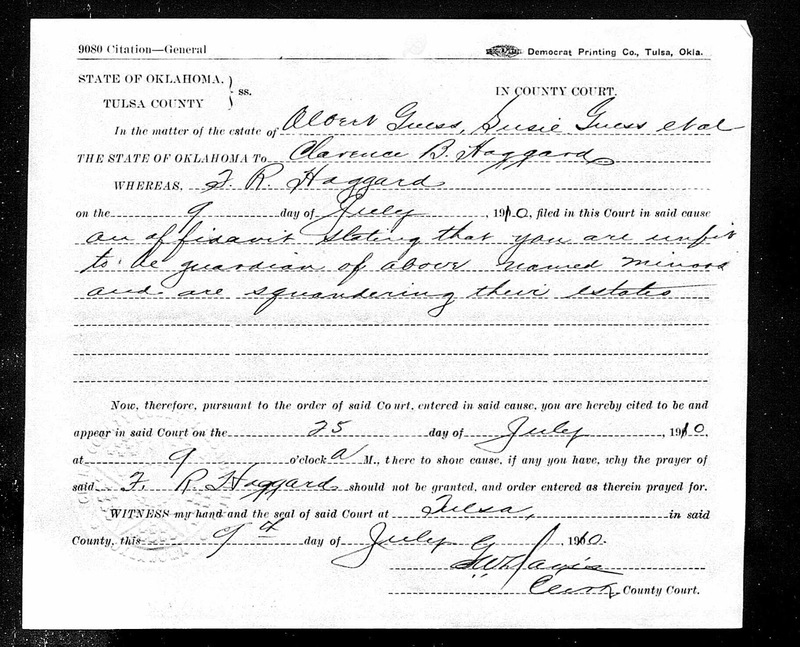 April 16, 1910, on the 1910 US Census, Lena was listed as Lena Haggard and Susie was listed as Susie Guess. 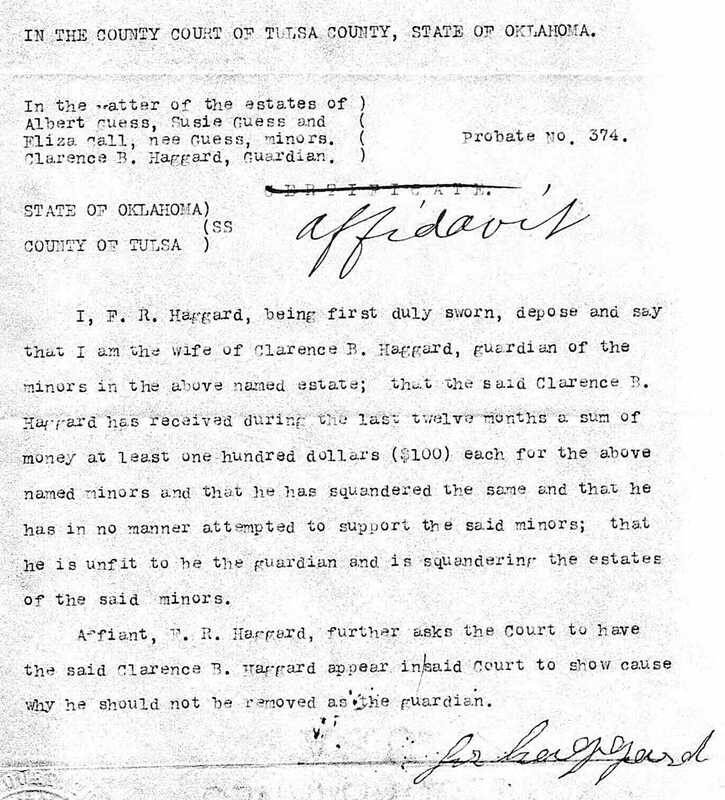 Clarence was not listed in the household. 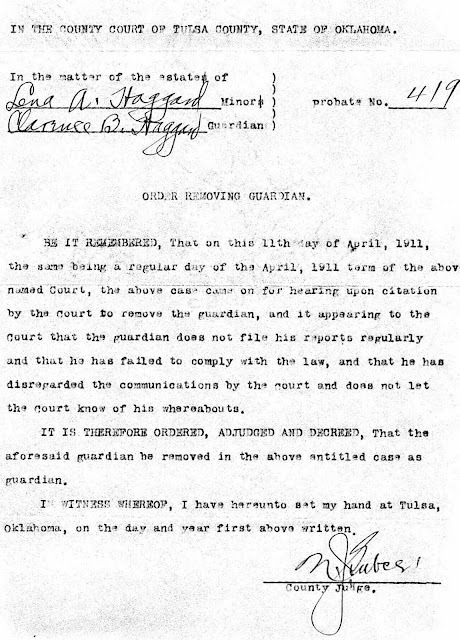 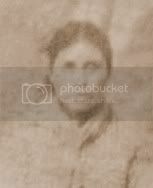 May 12, 1910, in Susie's estate, Lena was listed as Lena Haggard and as the 1/2 sister of Susie. 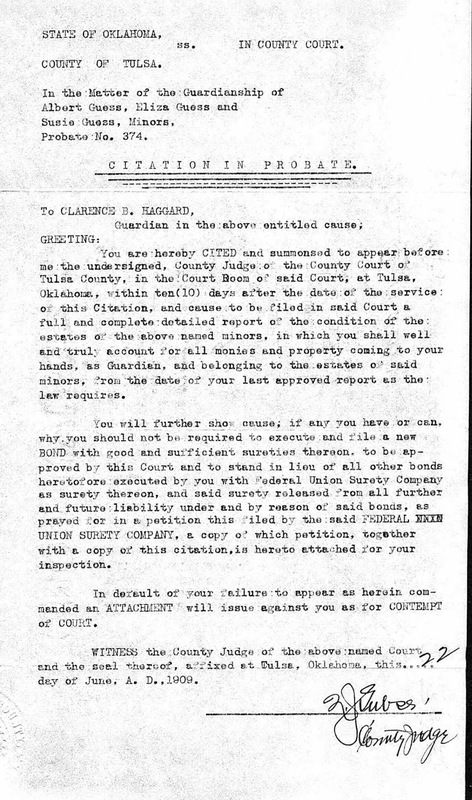 That same day, Clarence signed for Lena in Susie's estate papers and signed her name as Lena Haggard. 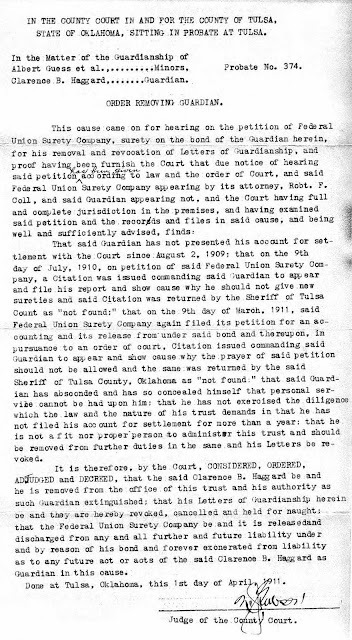 July 9, 1910, Frances reported that Clarence was squandering the estates of her children (as guardian.) 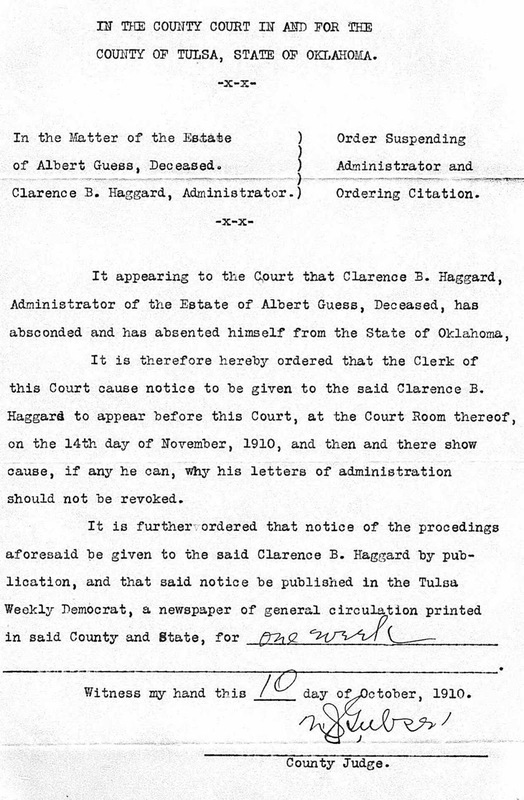 Clarence was therefore ordered to appear in court to answer to Frances' allegations against him. 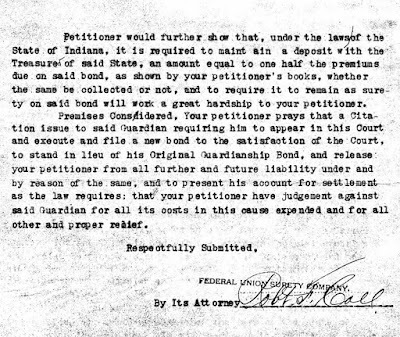 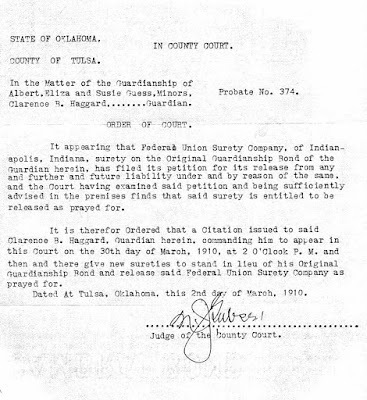 The court date was set for July 25, 1910. 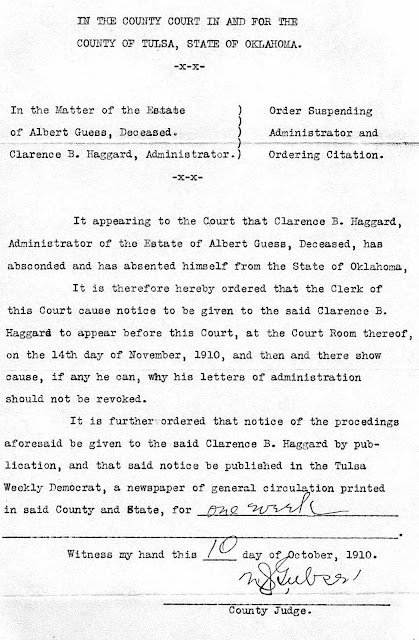 October 10, 1910, the the court ordered that Clarence appear in court to answer the accusation that he absconded with Albert's estate (as administrator.) 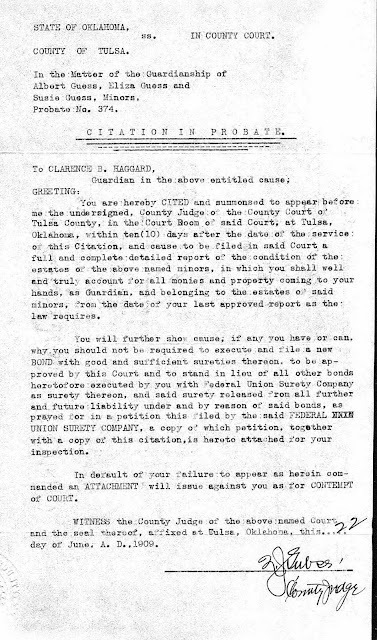 Later, the sheriff reported he could not find Clarence in his jurisdiction to serve him with the order to appear. 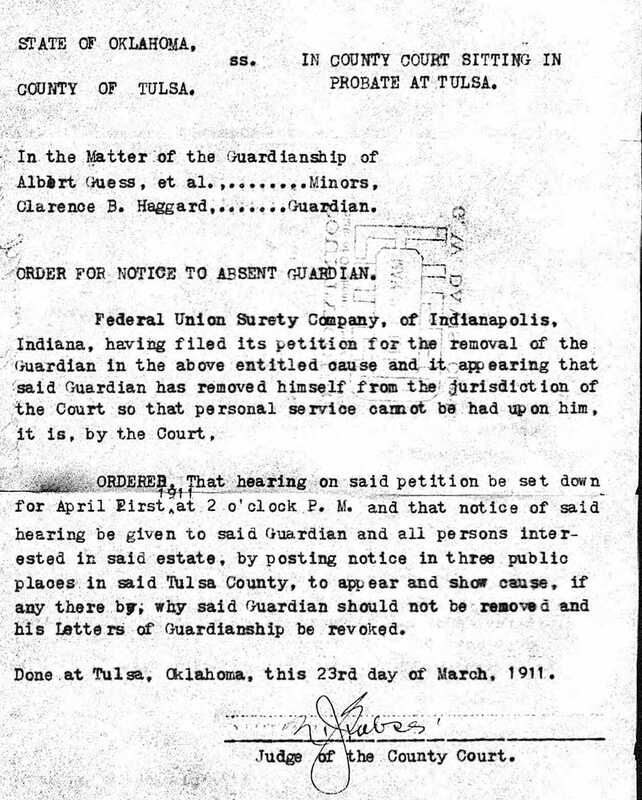 April 11, 1911, Clarence was removed as guardian of the estates the children of Nelson Guess; Albert, Eliza, and Susie; as well as removed as guardian for the estate of his own daughter, Lena Haggard, alias Guess. 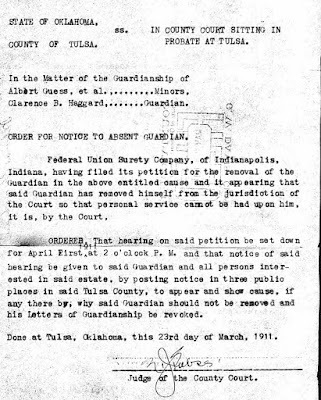 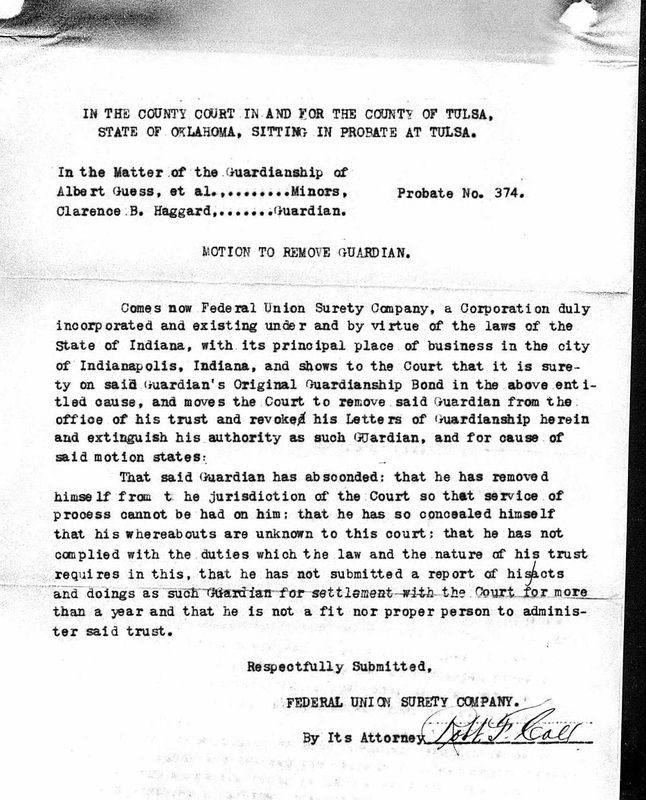 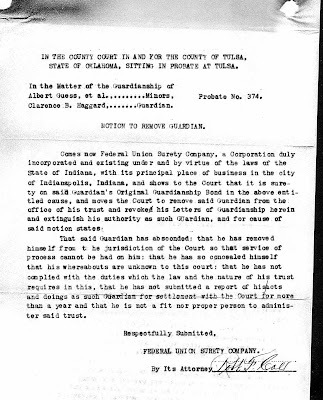 After all those documents, it should be clear that Clarence Haggard took advantage of his role as guardian to Cherokee children and basically stole their estates. 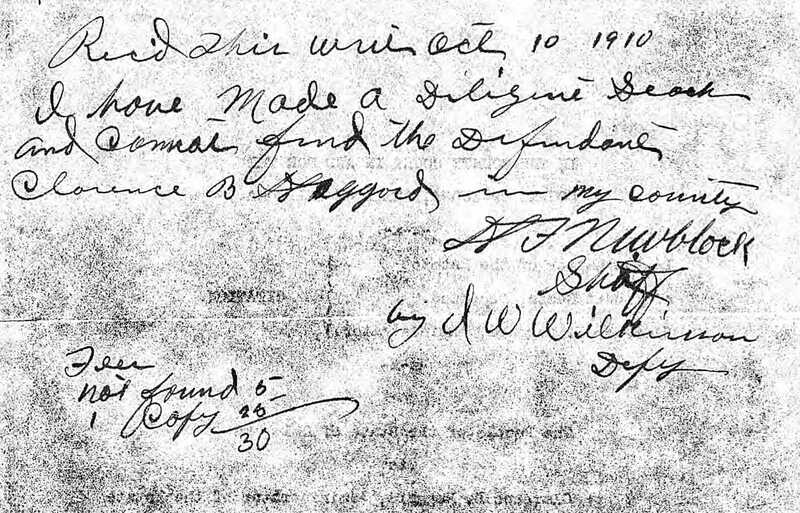 Though I didn't include the documents in this post, he did request and receive approval to sell at least part of the allotments received by Albert and Susie. 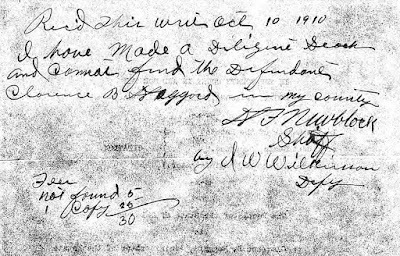 After he sold the land, he then absconded with the money received from the sale. 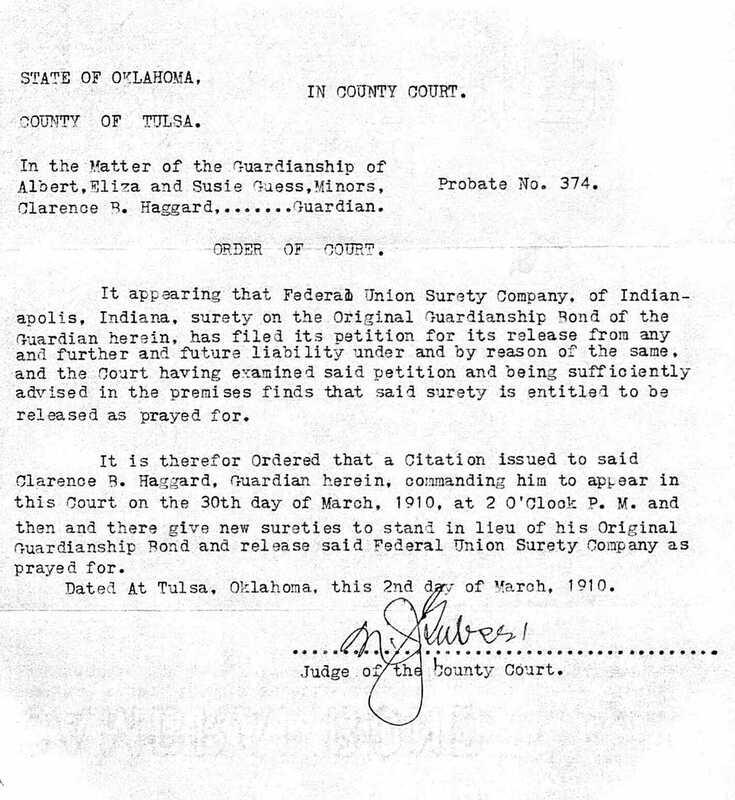 In Part 3 of The Children of Nelson Guess, I'll summarize the facts surrounding the tragic story of theft perpetuated by Clarance and Frances Haggard against these three Cherokee children and the Cherokee Nation as a whole.